This was my first time stepping foot inside Concorde 2 in Brighton, with its quirky archways and intimate feel, it was perfect for the support act, JNR Williams’ blissful tones. He sung a mixture of covers along with his own songs. This included his latest EP ‘A Prayer’, which I’d recommend checking out the emotive music video for – the expressive dancing builds a powerful story of frustration and love. JNR Williams’ performance kept the audience pretty mellow throughout. In fact, the demographic did surprise me slightly. It was so mixed, with a range of ages, which made for a subdued bunch – no mosh pits in sight. The anticipation for Grace Carter’s performance built and this was further heightened when the drum roll started, announcing Grace’s imminent arrival to the stage. With this, phones were whipped out to capture the first glimpse of “Miss Carter”. Grace Carter greeted her home crowd, having grown up in Brighton herself, she seemed happy to be ending the UK leg of the tour in her old stomping ground. Starting the show with: “It’s so nice to be home!”, which set the crowd roaring. So much so, a very early “We love you Grace!” was screamed by a crowd member. Grace opened with ‘Saving Grace’ and as the songs went on, the underlying sass was evident in her performance – who doesn’t love a sassy performance? 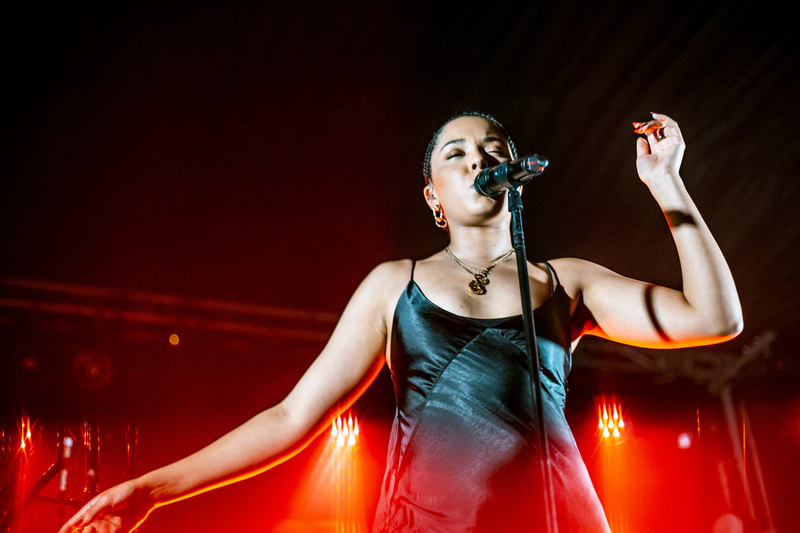 Her voice felt raw and authentic, which lends well to the powerful songs she writes – the audience were captivated throughout every performance. As well as her sass, you could really feel the heart in her performance, which is apparent in her music video for ‘Silence’, showing real tears streaming down her face as she sings. Her songs tend to be written about her father, who left when she was very young. She spoke openly on Friday night about how she began songwriting and performing at 13 years old, when her step-dad gave her a guitar and suggested she try it out. This gave her a platform to express her confused anger through her honest song writing. She added that, “I find it hard to write upbeat songs”, which was not evident through the crowds’ cheery spirit, as they sang along to every word of every song. Grace confessed that she wants her songwriting to be important and help others who may be struggling with the same issues. Along with her passion for songwriting getting her through her hardest times, she praised her “queen” of a mother and dedicated a couple of her songs to her mum, who stood somewhere in the doting audience. She laughed at the fact that her mum had recently been recognised in McDonalds, which surely shouldn’t come as a surprise, for someone who came third in BBC Music Sound of 2019 and is signed under the same management as Dua Lipa. 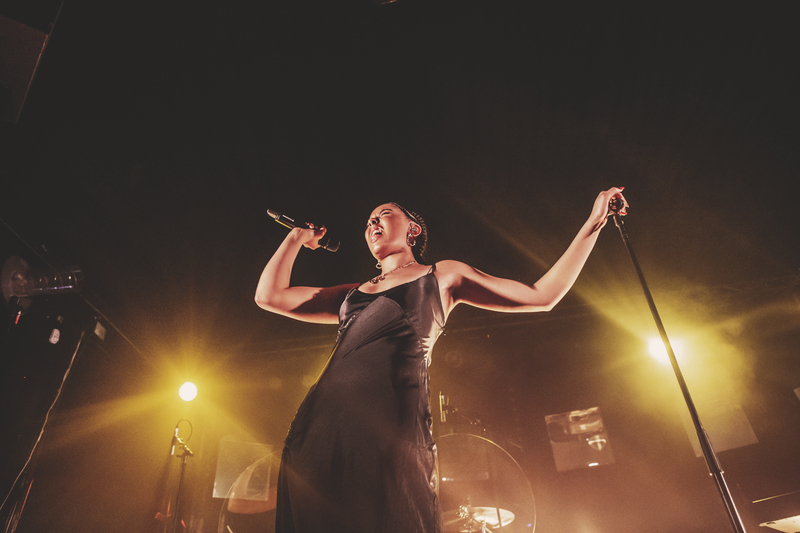 On several occasions between songs, Grace Carter seemed dumbfounded that she was up on stage, performing at Concorde 2. A place that she had been to watch other artists perform herself, she said it was “surreal” for her. At one point, she requested a sea of iPhone lights to be shone in the air during her track ‘Silhouette’, setting the tone for an emotive performance. The show came to a close with a few thanks dished out and Grace Carter left, but the buzz of the audience continued to roll on. After this performance, I very much look forward to seeing Grace Carter at the Barn on the Farm Festival this year.